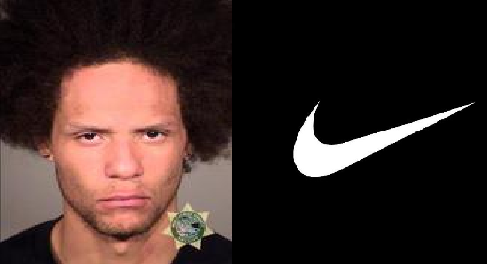 An alleged pimp from Oregon has reportedly filed a $100 million personal injury lawsuit against clothing giant Nike claiming that the company failed to include a warning label saying its Air Jordan model shoes could be used as a deadly weapon. Why would 26-year-old Sirgiorgiro Clardy be concerned about whether or not Nike included such a warning on the company’s most popular brand of shoe, you might ask? Well, according to OregonLive.com, the man was recently sentenced to 100 years in prison for brutally beating a man who allegedly tried to skip out on the tab for one of Clardy’s prostitutes in 2012. According to court documents, Clardy claims that Nike should have placed a label in his Jordan shoes to warn all consumers that the shoes could be used as a dangerous weapon. In early 2013, a jury found Clardy guilty of second-degree assault for brutally beating the man who allegedly failed to pay his prostitute. Clardy was also reportedly found guilty of robbing the man after beating him, as well as beating the 18-year-old woman he had forced to work as prostitute. According to news reports about the initial incident, Clardy used his Jordan sneakers to repeatedly stomp on the face of the man as retaliation for failing to pay the prostitute. The man suffered serious injuries from the beating – he reportedly required stitches and plastic surgery on his nose – while the prostitute was injured so badly that she was bleeding from her ears. In a three-page complaint that was handwritten by Clardy from the Eastern Oregon Correctional Institution – where he is currently being held as a result of his criminal conviction – he claims that Nike failed to warn consumers about the possibility that the shoes could cause serious injury or death to another person. In order for Clardy to successfully pursue a personal injury lawsuit regarding this matter, he would need to prove in some way that Nike had a duty to adequately warn consumers of the risks involved with wearing the shoes. This wouldn’t be the first time that a consumer has filed a personal injury claim against a shoe manufacturer based on the safety of its products. In fact, multiple class-action lawsuits are currently being filed against Skechers in relation to a number of injuries that have allegedly been caused by their Shape-Ups line of shoes. Those claims, however, allege that the design of the show actually increases a person’s risk of suffering a broken ankle or other foot-related injury. And since the Consumer Product Safety Commission (CPSC) has reportedly received hundreds of injury reports and complaints about the dangers of these shoes, it’s presumable that a jury would find Skechers liable for the damages to those who purchased the shoe. In the case of Mr. Clardy, it’s unclear whether or not there are any additional claimants bringing similar allegations against Nike. However, it would be difficult to imagine a situation where a jury of 12 men and women would truly support Clardy’s claims that Nike is responsible for warning consumers about the possible harm that could result from using the company’s shoes to stomp on a person’s face. During his two-week-long criminal trial and subsequent sentencing hearing, news reports claim that Clardy repeatedly displayed unusual antics in the courtroom, including shouting expletives at the judge and jurors. A psychologist also reportedly declared Clardy an anti-social psychopath who was 100 percent likely to commit violent crimes again. Surely, we’ll be keeping an eye out for any progressions or developments related to this case.